Next time you're out hiking around Ryan Ranch, checkout some of those boulder piles on each side of the trail, the ones you'd normally walk right past. I did recently and was excited to find at least two Native American habitation sites. These are spots where Indians lived during part of the year, as they followed their migration paths during the different seasons. One of the two sites I found is an obviously great camping spot, tucked away in a little amphitheater-ish enclave in a large pile of boulders. 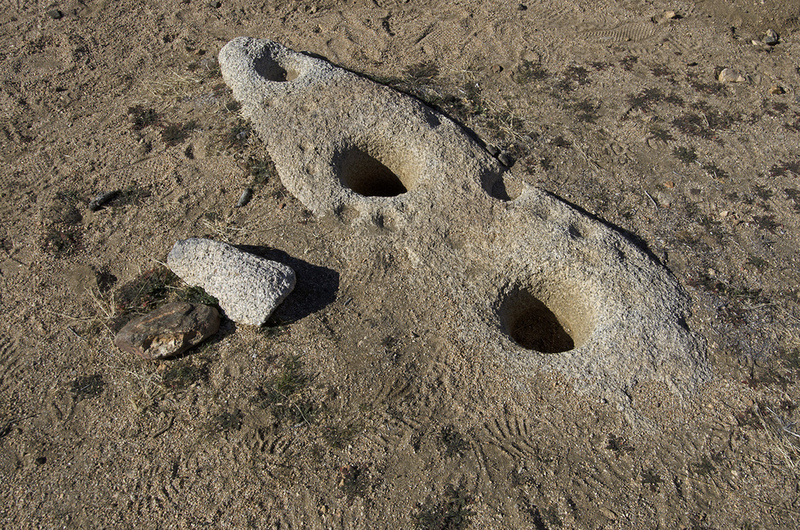 There were at least 13 mortars at this spot, indicating that it was clearly a favorite place to stay during part of the year. I've seen pictures of pictographs and petroglyphs from this area, but haven't yet tracked them down. Which gives me a great reason for a return trip soon, to look for them and to check out those other giant rock piles out at the base of Ryan Mountain, to see what I can find.